Please use our online availability and booking facility above to check which pitches are available for your desired dates and the number of campers you are booking for. The system will show you which pitches are available on your chosen dates, complete with details of pitch sizes and facilities. When you have found the pitches you want, it’s quick and easy to make your booking online and secure them. Once payment has been made, your booking will be automatically confirmed by email. 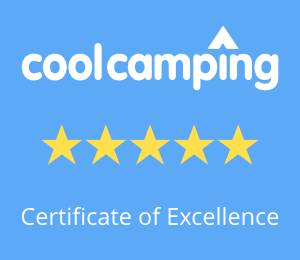 To ensure the best experience for all our campers on our unique site we only take advance online bookings. The site is not open to casual callers or to “pitch on the day” campers. Visitors who have pre-booked to take part in one of our “on-site activities” such as archery sessions or a history tour of the WW1 trenches should contact to the warden on duty on arrival. Please see the Things to do page for details of these activities and how to book them. Bank Holiday weekends require booking of two nights or more. We have a special pitch, “Camper Glade”, available for small camper vans. Please contact us direct for more details. To improve your camping experience, no other vehicles are allowed on any pitch. We listen to our campers comments and where possible make changes. If you have any comments, please contact us. For group bookings or private hire of the whole site please contact us to check prices and current availability.